ChinUP K-6: Daily Number Sense – What and How? ChinUP professional learning events are two-hour after school ‘open’ workshops, hosted by primary schools across NSW. ChinUPs are designed for teams of up to eight educators and are open to anyone, from any sector and any school. Individuals and casual teachers are also very welcome to attend. Audience: Early career teacher, experienced teachers, mathematics/numeracy leaders. Do you find yourself discovering gaps in your students learning when you start teaching a new concept? Wondering how to plug these gaps? The answer is Daily Number Sense – your lesson warm up component! 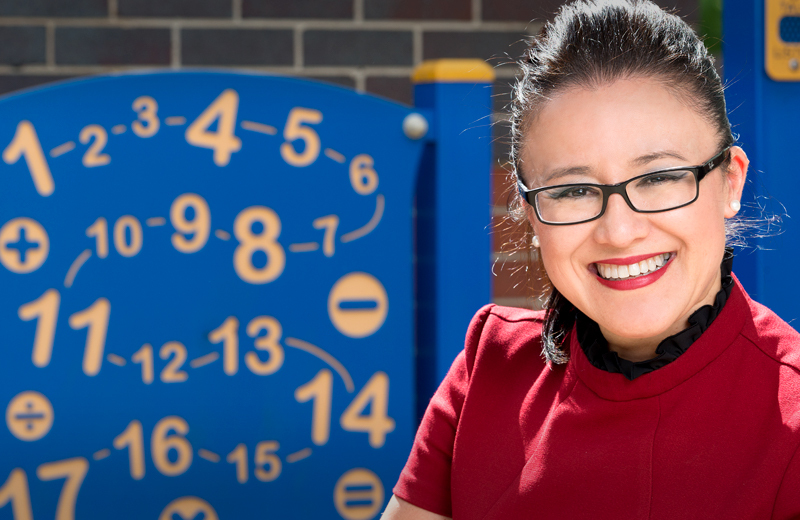 In this after-school hands-on workshop, Anita Chin will guide you through what Daily Number Sense can be used for: practise of prior learning, using rich mathematical language, and connecting concepts by representing numbers in multiple ways. ChinSENSE blackline masters and links to resources provided in an e-folder. Completing ChinUP K-6: Daily Number Sense – What and How? will contribute 2 hours of NSW Education Standards Authority (NESA) Registered PD addressing 2.5.2 and 6.2.2 from the Australian Professional Standards for Teachers towards maintaining Proficient Teacher Accreditation in NSW.